The highlighters that we didn't ask for but we bought anyways. 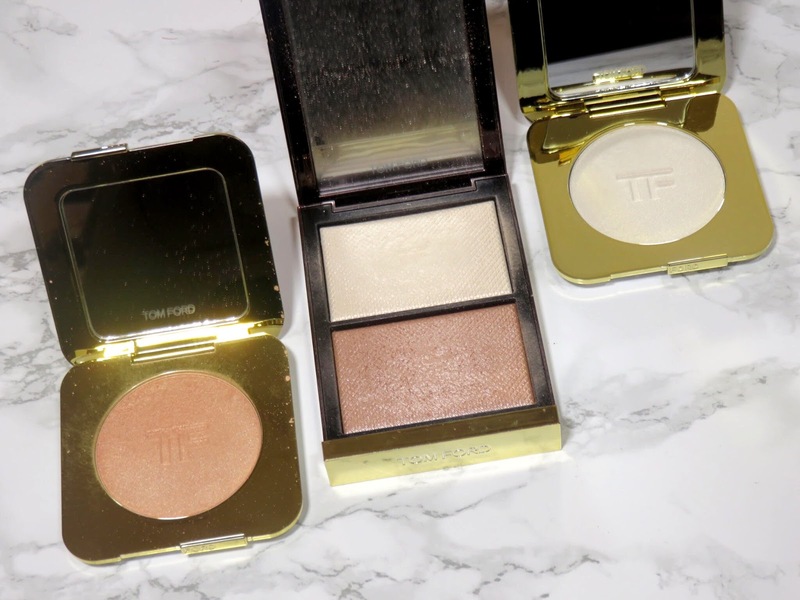 Thanks, Tom Ford... First of all these don't even sound like highlighters, their name implies a radiance powder more than a highlighter. When you pair "Radiant" and "Perfecting" together, it sounds like you're talking about a radiant setting powder of sorts. Anyways... let's get into the review. 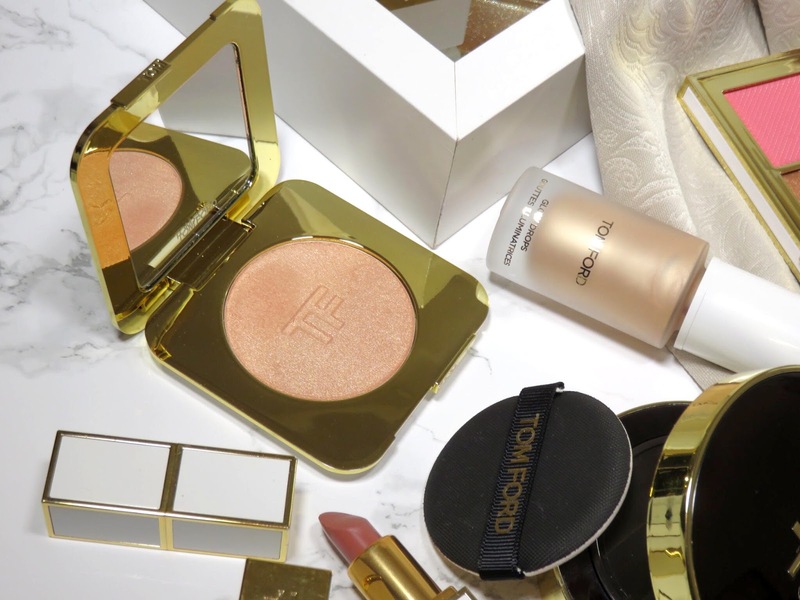 The Tom Ford Radiant Perfecting Powder retails for $68.00 USD and is available at Saks and other retailers. Housed in the classic white and gold Soleil Collection packaging, this packaging is classic and chic. 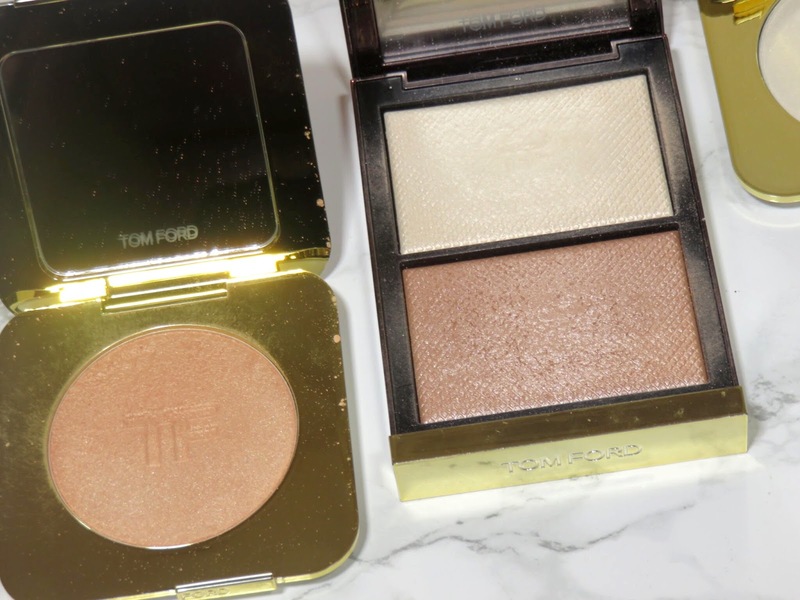 These compacts are extremely lightweight, which doesn't feel as luxurious but they are nice to travel with. 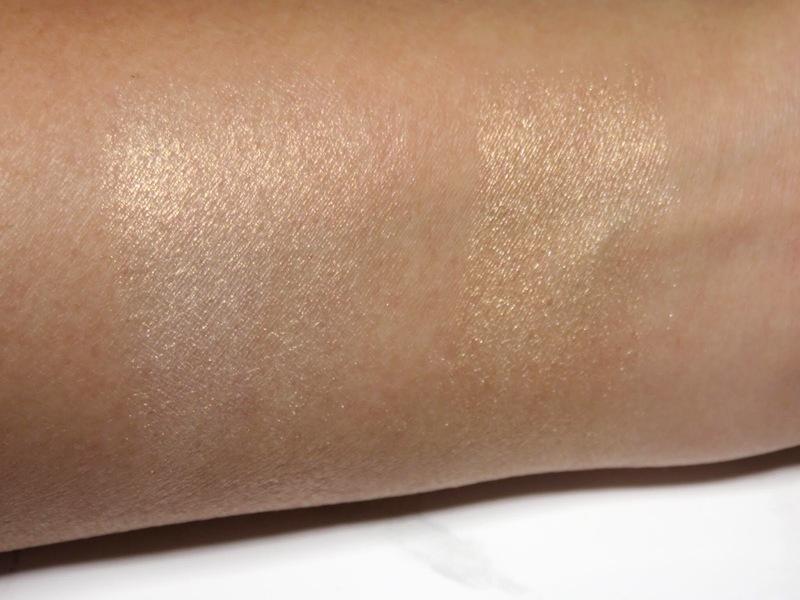 Glit Glow - This shade is very common among brands, it is a white with a strong gold shimmer. The white base in the this shade has a subtle silvery tone to it, but other than that we have seen this shade before. 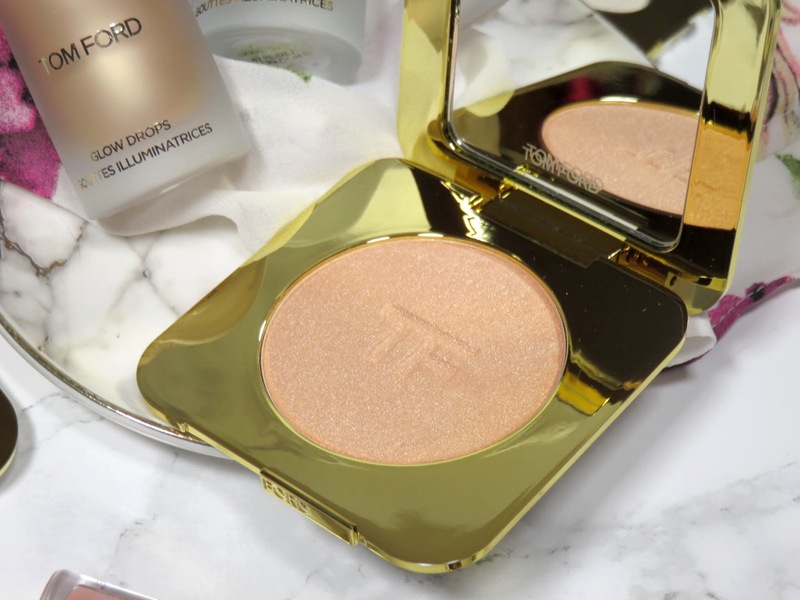 This isn't a unique shade to me and frankly, I'm kind of sick of these shades because if I wanted a gold highlighter, I would just buy a gold highlighter, not one that looks white in the pan but reflects gold. 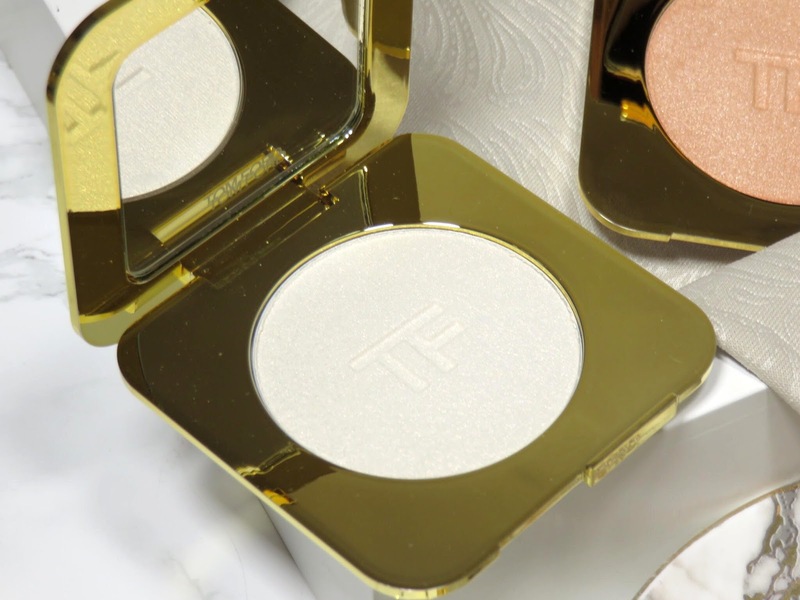 Considering the other shade in this collection is a golden shade, I feel like they should have opted for a true white pearl highlighter, similar to the liquid highlighters they released this season. Instead, we have a white based highlighter with a gold pearl. While pretty, it's not a must-have in my book. 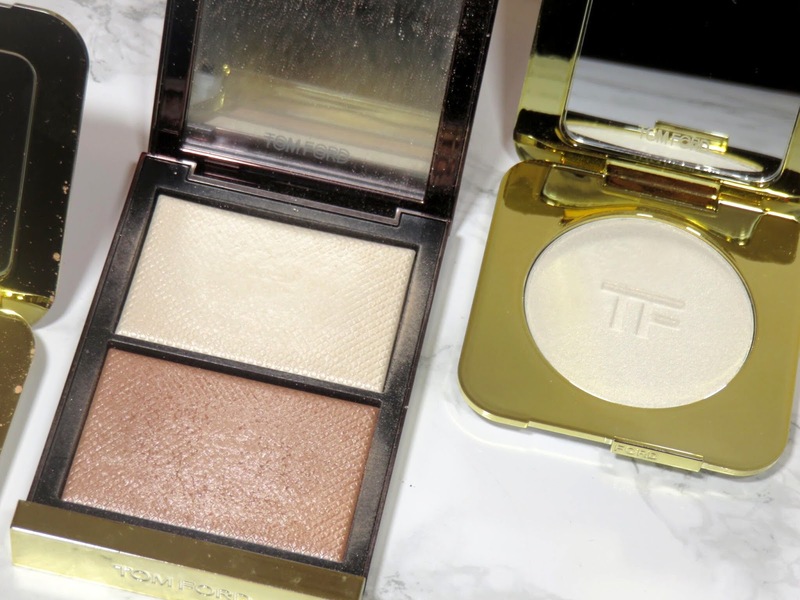 The gold reflect is EXACTLY the same as the gold shimmer in Luna, the other powder highlighter in the collection. Perhaps they were going for a one for light skin and one for a deeper skin tone but they aren't significantly lighter or darker. On the skin, they look almost identical except this one reflects more yellow because of the silvery white base. Luna - This shade is a soft golden reflect, again nothing special but it's very pretty. If they were going for this shade being best suited for medium to deep skin tones, it isn't significantly deeper than Glit Glow. In fact, on my medium skin tone, this is more subtle than Glit Glow because it blends into my skin more but there really isn't a detectable difference, which is disappointing. 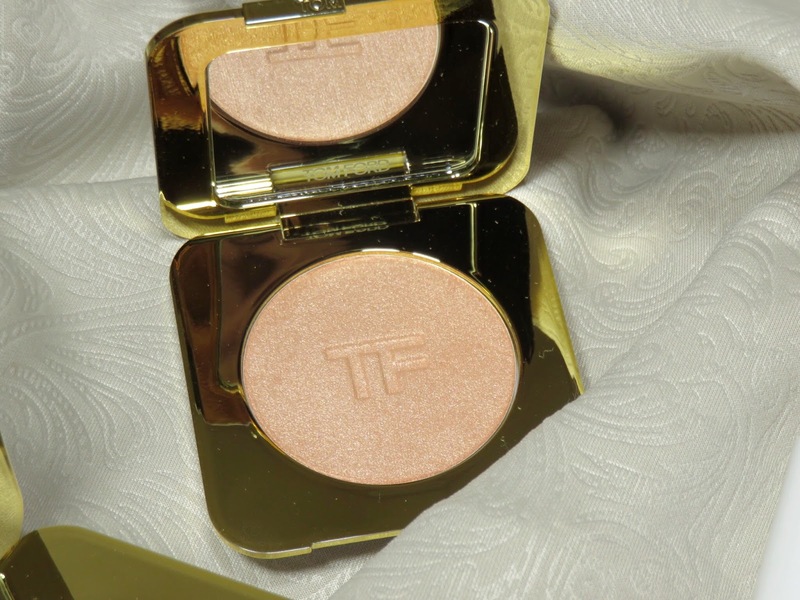 These powder highlighters have a soft sheer but buildable glow. The powder is soft but feels just a bit on the drier side, however it doesn't affect the application, which is very smooth and flawless. They don't emphasize any texture and they aren't going to be a blinding highlight. There are very very subtle rainbow micro shimmers in both shades but on the skin, they're undetectable. 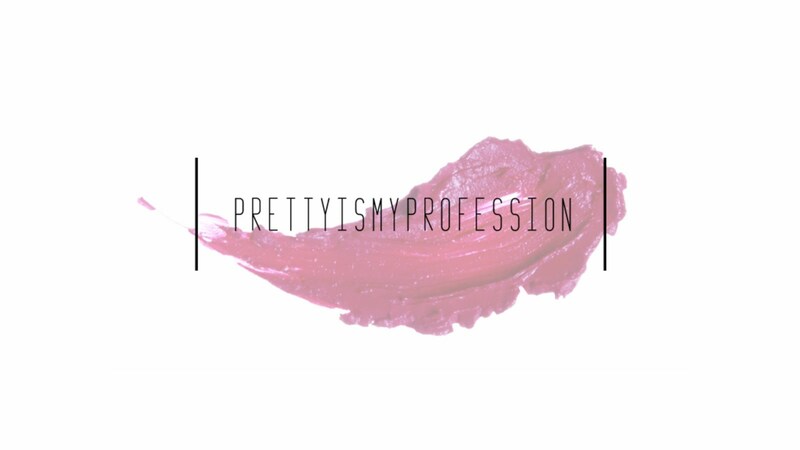 I feel this formula is pretty standard and nothing to be too excited about for the price, you're getting quality but these really aren't must-haves for me. As requested by a reader, I am comparing these new highlighters to Moodlight, which really is the closest match in color. 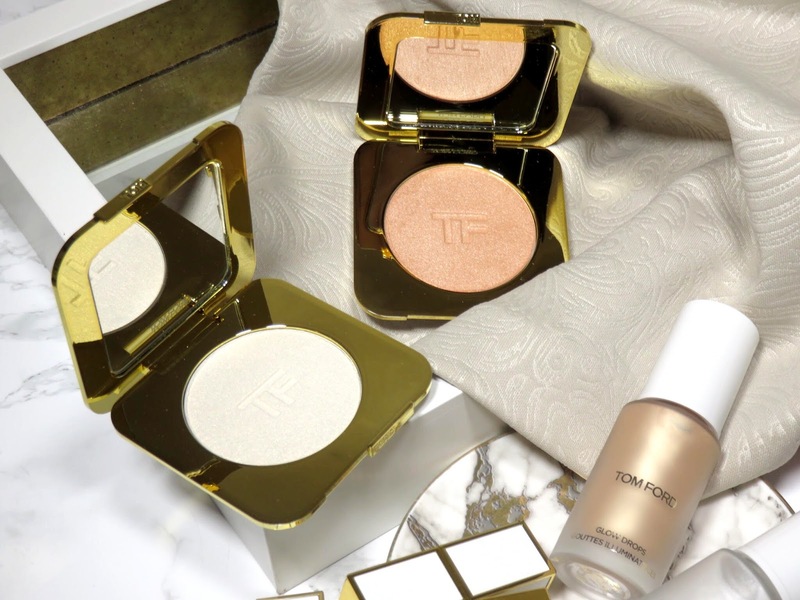 The Moodlight highlighting duo has a gel-powder texture and has significantly more shimmer than these powders. 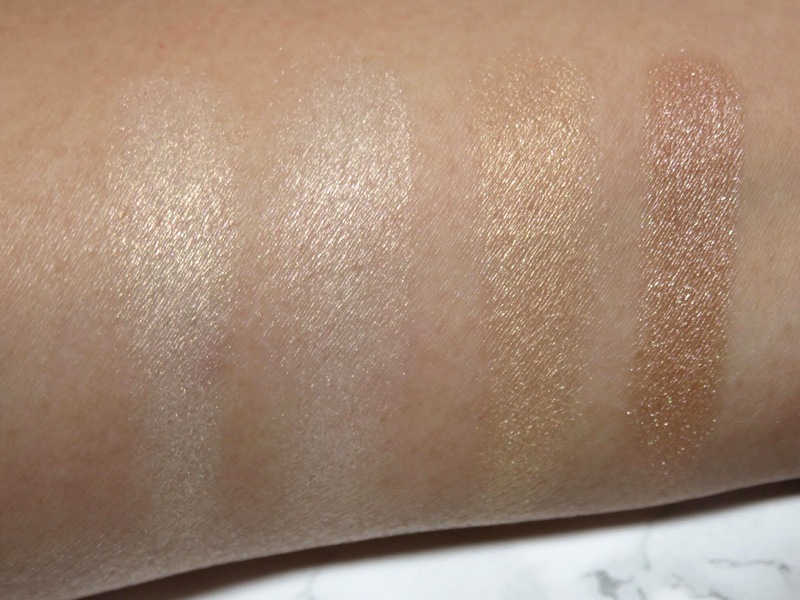 As you can see, Glit Glow (first swatch) and the top portion of Moodlight (second swatch) look very similar. 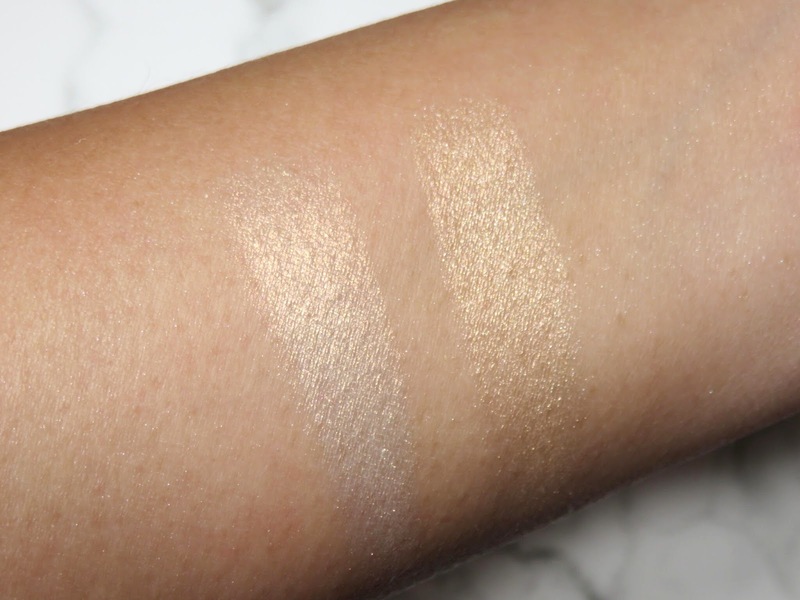 Glit Glow actually has a stronger gold shimmer, while Moodlight seems to have a bit of a stronger white base. 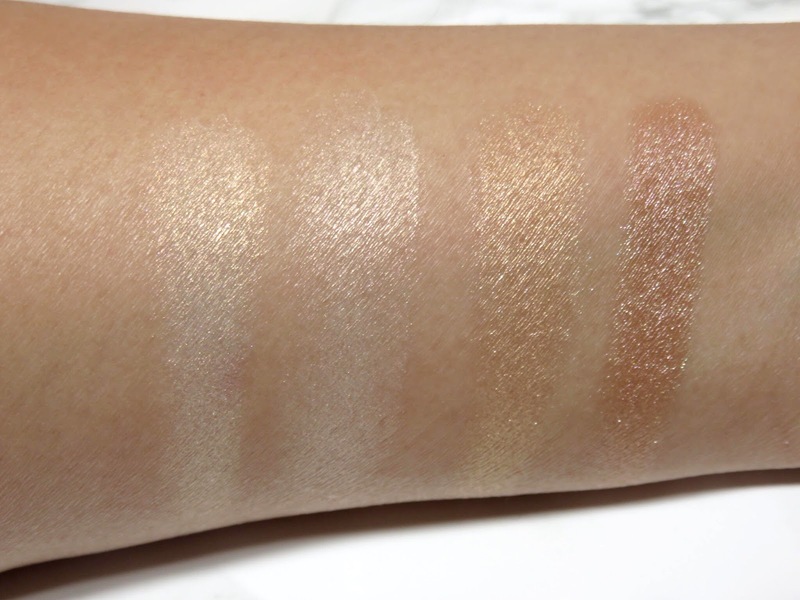 Luna (third swatch from left) is much more golden than the bottom portion of Moodlight, which is much more bronze. 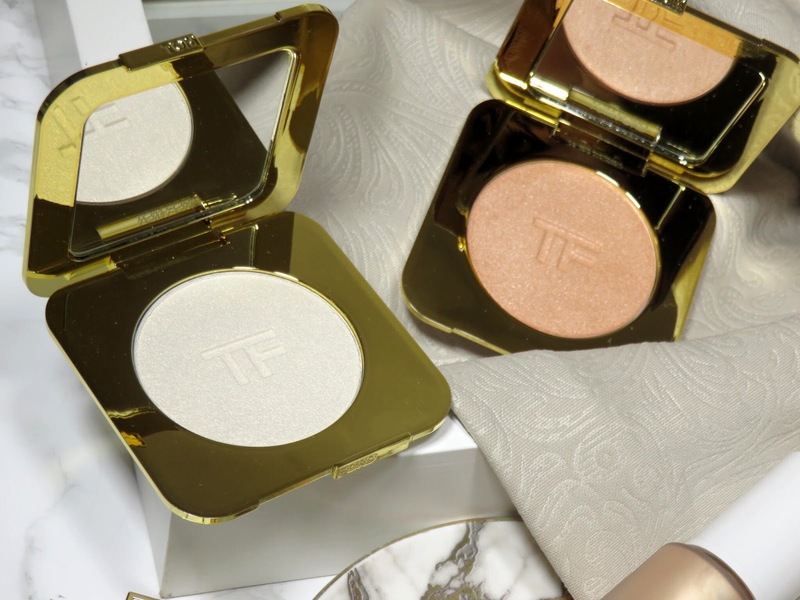 There are a lot of holiday collections busting into the market this year and while I love highlighters, I just can't justify recommending these highlighters that are so average. With the cost and competition taken into account, these highlighters aren't impressive enough for you to run out an spend money on. 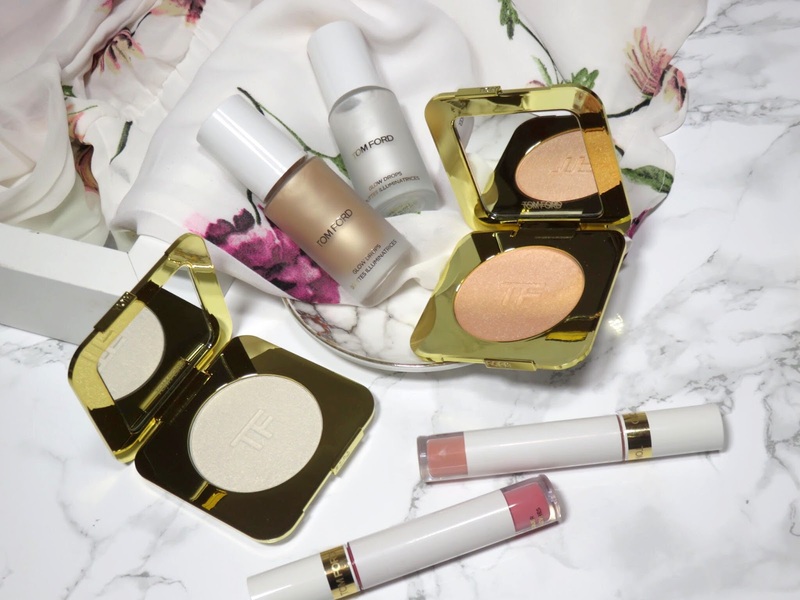 They are pretty and they do the job well but you can find many highlighters that can do that for you, at a fraction of the price. 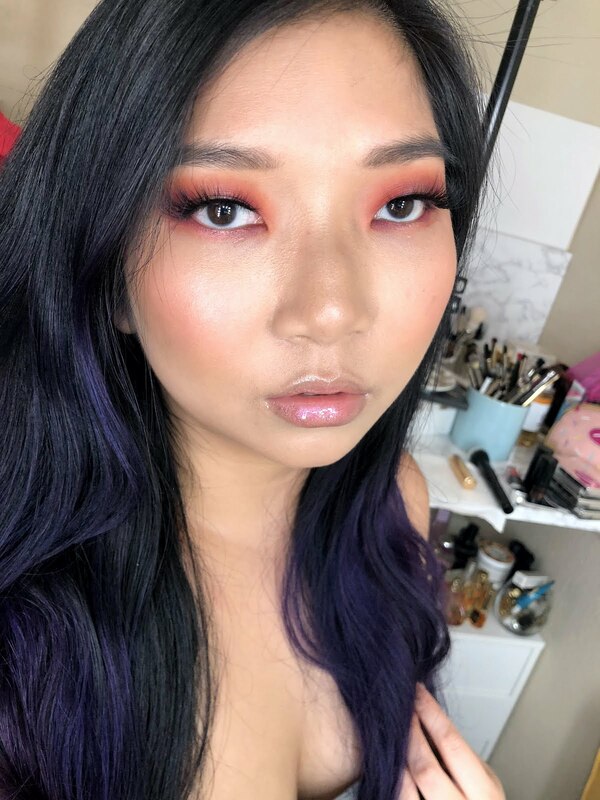 Although I talked a lot of smack about Glit Glow, being a common shade I was sick of seeing, I would actually recommend it over Luna because it has a touch more complexity and it is has more intensity than Luna. However, if you have a very deep skin tone, it will be very stark on you. I would say these shades are practically identical because of the sheer formula of these highlighters, so you can really go with either. I would definitely say you only need one of these, they really aren't different enough to warrant buying both. Hmmm! OK, now I'm heading back over to the Glow Drops. We always agree on the products so I think I might find the same you did - why not just have a gold powder as opposed to a white powder with the gold finish. I have a ton of that already. I'm thinking the glow drops are more versatile too. Wouold you say so for me? I'd like the drops? I also love gilt glow so much! 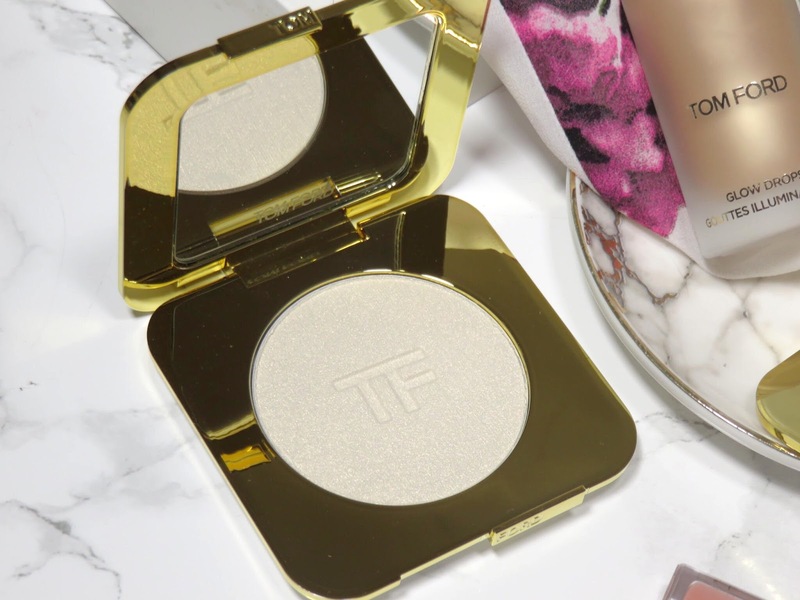 I have Becca Vanilla Quartz but the formula is nothing like Tom Ford Gilt Glow.... it is just so smooth and less shimmer. I also have been using it non-stop ever since I got it.